A novel metal-organic framework able to adsorb twice its weight in water could control humidity in an eco-friendly and cost-effective way. A lithium-ion battery shaped like the human spine shows remarkable flexibility, high energy density and stable voltage while being flexed or twisted. Find out more about the 2018 Robert Cahn Award winner. Scientists have uncovered gas separation abilities in a 2D material called MXene, which could be incorporated into membranes for purifying hydrogen. By employing graphene girders as physical supports, scientists have been able to replace graphite with silicon in the anodes of lithium-ion batteries. 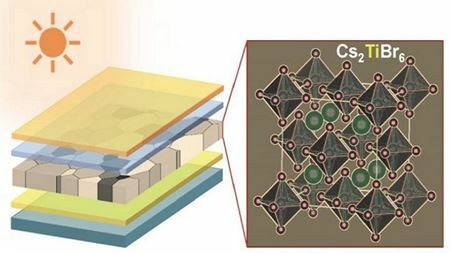 A novel inorganic halide perovskite can act as a solar cell material and be reversibly switched between a transparent state and a non-transparent state. Scientists have greatly reduced the fragility of molten-electrode batteries by replacing the usual ceramic membrane with a metal mesh membrane. ‘Dual-mode’ radiative thermal management textile can provide both warming and cooling. A thin layer of fullerene molecules allows electrons to travel further than previously thought possible in organic solar cells and organic semiconductors.